Norm Rumack has been with THE FAN since its inception in September 1992, but you won't hear him on THE FAN 590 any longer. Stormin' Norm Rumack has been fired as Rogers-owned stations axed four ad reps, Rumack and an unidentified behind-the-scenes employee. It was fun late-night radio back in the day. I haven't heard him in years, but you don't soon forget a guy who tells you Wendel Clark is better than Mario Lemieux and believes every syllable. The late-night vampire shall haunt us no longer. Hammerhead Alert! Hammerhead Alert! When Harold Hosein was fired from City-TV back in 2006, I wrote about it. Today, there's a new comment on that entry from a chap named Ian. It seems 680 News didn't renew Harold Hosein's contract, meaning Toronto is without the meteorologist on the air for the first time in twenty years. 680 still has the bio he wrote online, so I'll paste it here for posterity. I was born and educated to the high school level in the sunny tropical islands of Trinidad and Tobago, West Indies. 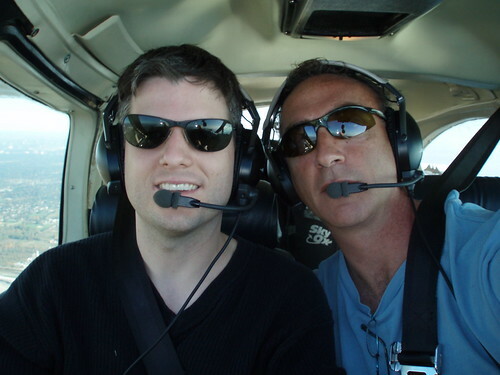 My interest in meteorology and aviation began in high school, where excellent teachers motivated me. A few of us started a radio station at school, which led to broadcasting careers for several of us in radio and television. After migrating to Canada in 1967, I joined Environment Canada and trained in meteorology. I spent 21 years with Environment Canada, mostly at the Toronto weather office at Pearson International Airport, and worked extensively with commercial airline crews, commercial interests and the media from 1968 to 1989, when I left for a new career in television from 1989 to 2006. 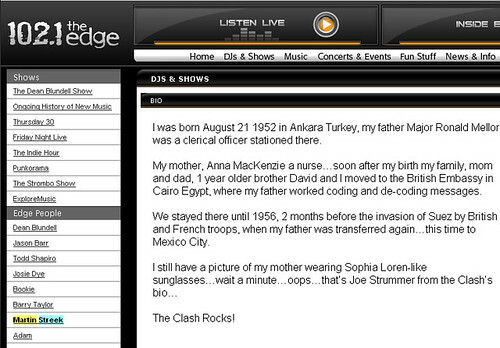 During that time I did part-time radio work with CHML in Hamilton and CFRB in Toronto. I became staff meteorologist at CJCL from 1987 to 1991, then staff meteorologist at CFRB from 1993 to 1999. I moved to 680News in November 1999. I have operated my own weather forecasting consultancy since 1987 and have served the Blue Jays, the Rogers Centre, the Canadian Open golf series, the Canadian Tennis Championships at York University, the city of Toronto snow operations, and many others, including foreign newspapers, another local television station and clients in the U.S. and England. I am my greatest competition, trying to achieve 100 per cent at all times, knowing fully well that it is impossible. The most difficult thing for me is doing nothing. I operate a charity called Recycle Your Bicycle, sending unwanted bicycles and other useful items from Canada to Cuba. You may learn more about it by visiting www.recycleyourbicycle.com and www.haroldhosein.com. It's a rough time for many an industry, including the media. Who's next? Have you heard Dave Devall is retiring? 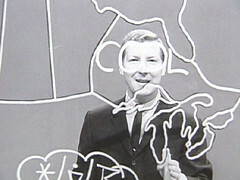 He's one of North America's longest serving meteorologists and he'll officially retire as CTV Toronto's Weather Specialist on April 3, 2009. I never got my news from CTV. I suppose we all have our favourite television news stops, and mine has changed over the years, but it's never been CTV. Still, I knew who Dave Devall was. 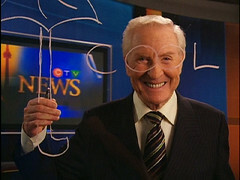 When you know a weatherman you never actually watched, you know he's a fixture of the Toronto media scene. At Queen and John Streets, you'll now find Moses Znaimer Way. The CITY-TV founder has been honoured by city hall with a street sign bearing his name. I find it ironic that they're resurrecting a sign to honour Moses while Rogers dismantles every stitch of ingenuity he brought to CITY-TV. Earlier this month, CTVglobemedia announced cuts that included the demise of The NewMusic, a show that was a legend for its part in launching new bands and the careers of a score of TV hosts and presenters. That's right Toronto music fans, The NewMusic is dead. The NewMusic joins Ed the Sock, Amber Mac, Silverman Helps and Speakers Corner in the Rogers CITY-TV graveyard. 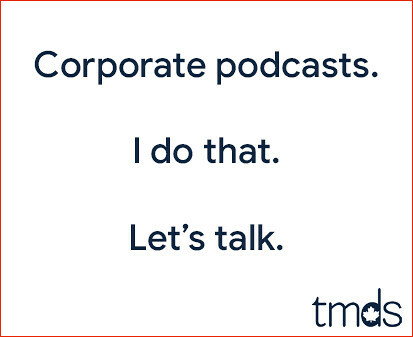 It's no longer Moses Znaimer's way. Citytv has axed Speakers Corner, the long-running program featuring clips from the automated video booth at the intersection of Queen Street West and John Street. In 1992 I was taking dramatic arts as a bird course OAC in order to jack up the average. One of the skits I wrote for that class was the funeral of Socrates, and I had a eulogy for the man that opened with "Socrates was a good man...". It was a good eulogy and I went down to Speakers Corner to deliver it for the camera. It only cost a loonie and I was sure I'd make the weekly broadcast. Unfortunately, I don't think I did. Things seem to be changing at Citytv now that Rogers is running the show. We said goodbye to Amber Mac, Silverman Helps and now Speakers Corner.